Keto aid is an electrolyte drink! Sometimes during the keto diet, our bodies need a little help. Our bodies work hard for us when we exercise, and even in our sleep, we lose important essential nutrients. We can feel lethargic, light headed, dizzy or just not as “gung-ho” as we want. 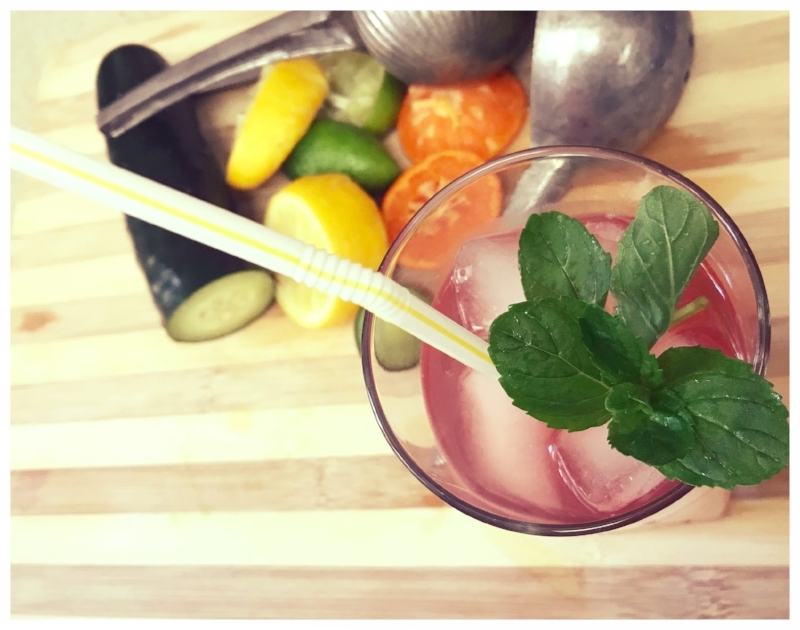 To combat the “keto flu” and keep our body and mind balance right where it needs to be, a homemade concoction with a refreshing combination hits the spot! The prep time is only about 10 minutes and it is very easy to make! Step 1 - Bring the 4 cups water to a boil and remove from heat. Step 2 - Place tea bags in hot water and steep for a few minutes. Step 3 - Remove tea bags with slotted spoon. Step 4 - Juice the lemon, lime and clementine. Add the juice mixture to the tea. Step 5 - Juice about 4-6 slices of cucumber and add the cucumber juice to the tea. Step 6 - Add the lite salt and Splenda and approximately 8 slices of cucumber in to the tea. Step 7 - Serve in a glass over ice with a sprig of fresh mint for garnish.